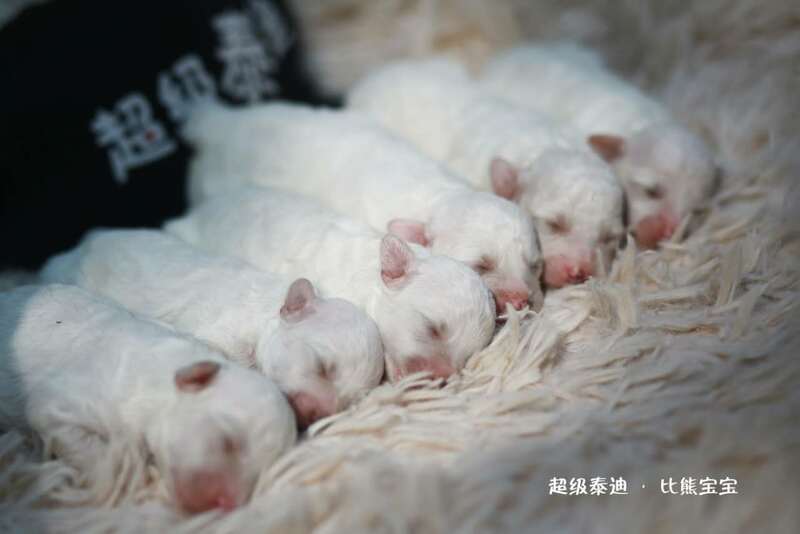 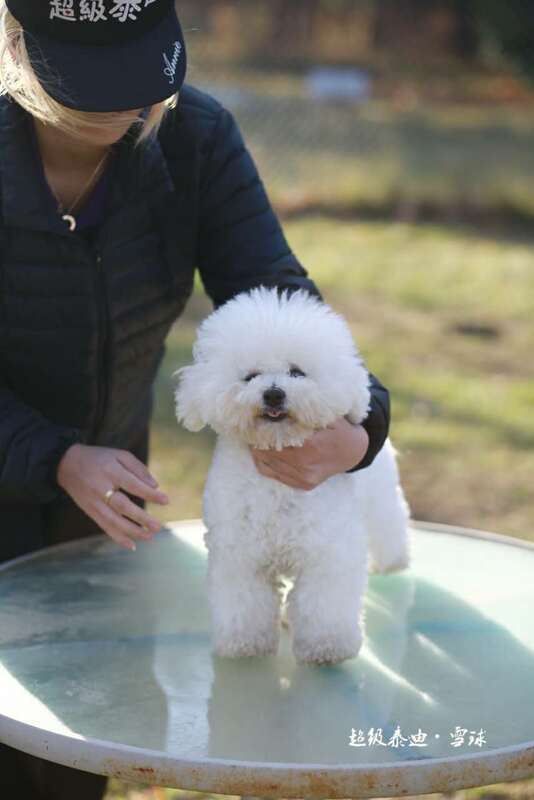 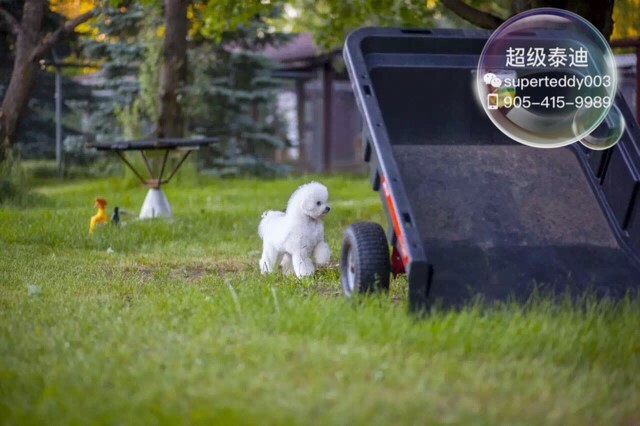 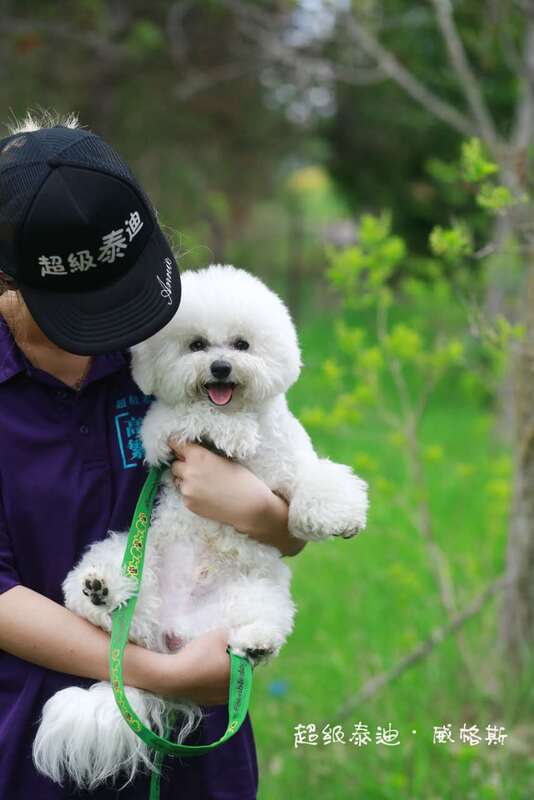 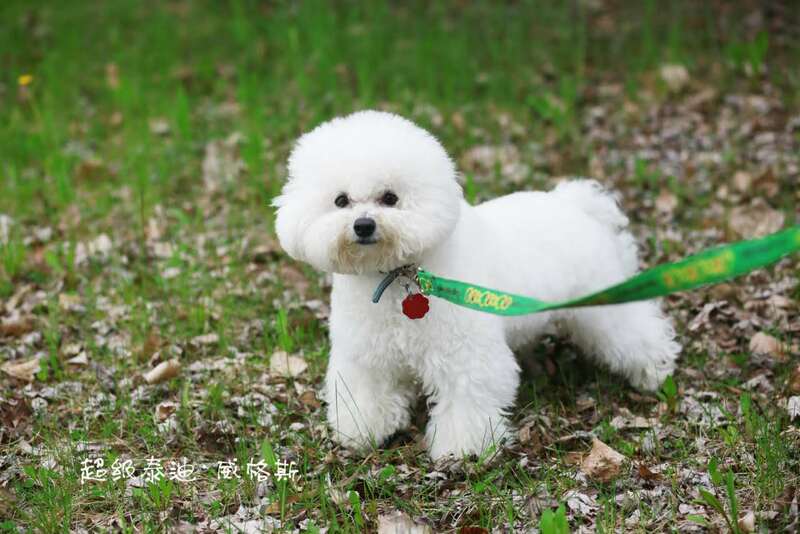 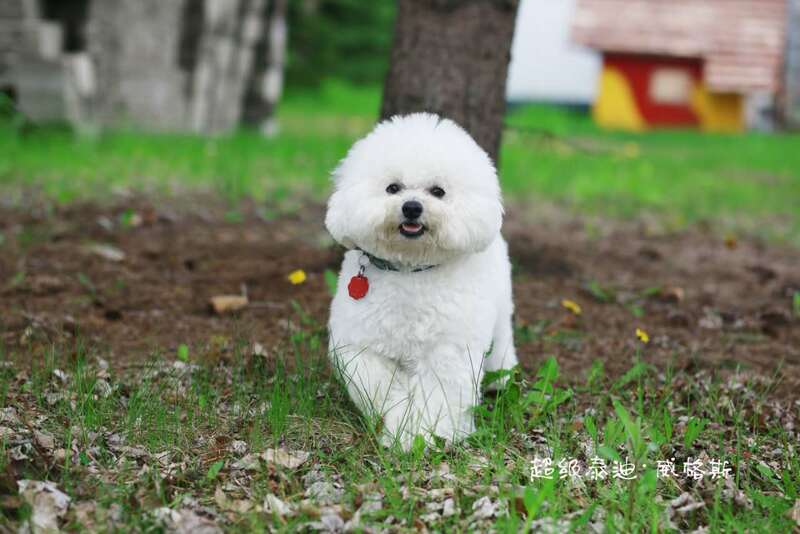 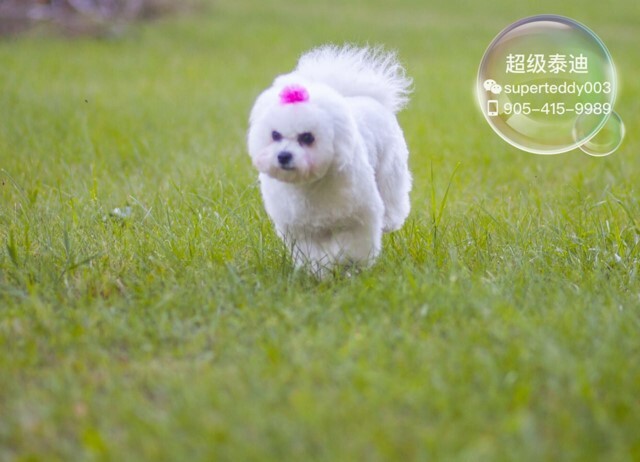 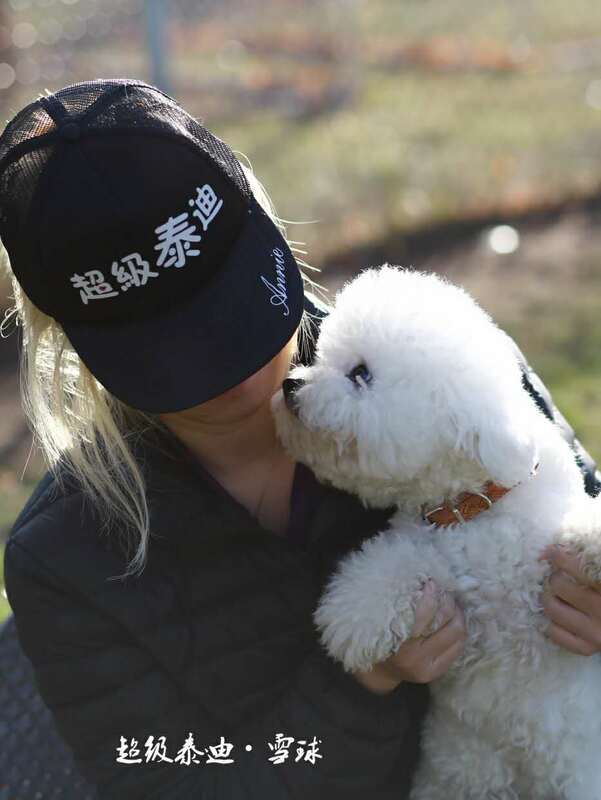 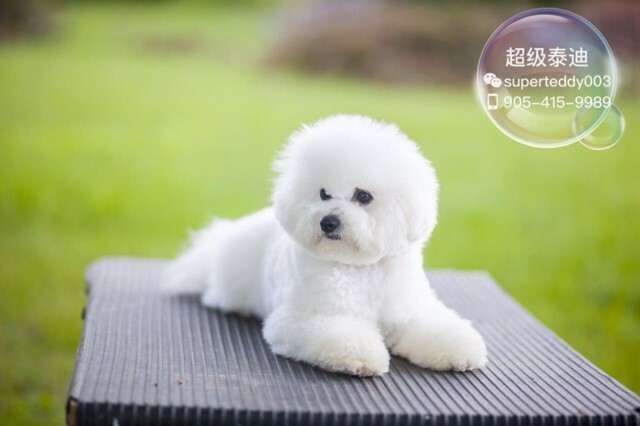 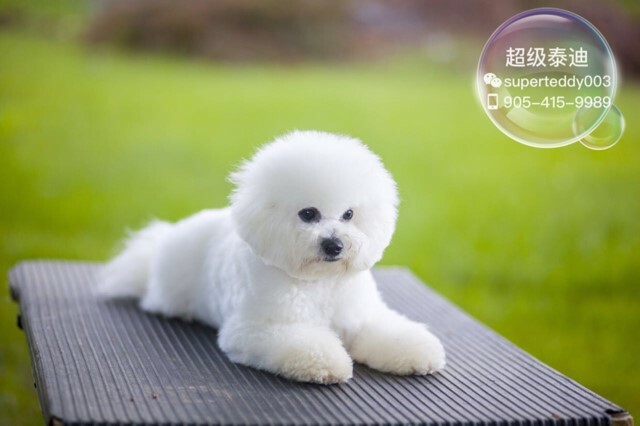 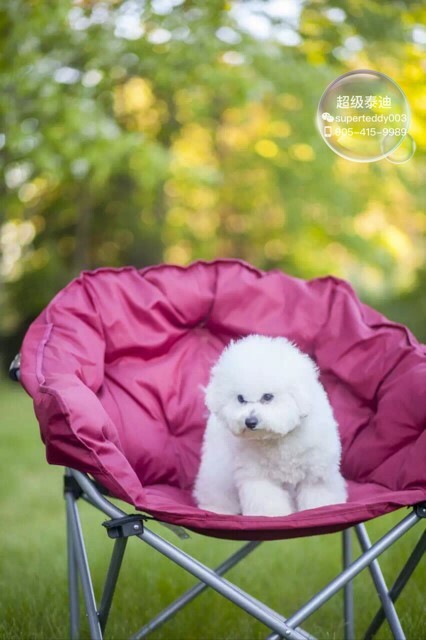 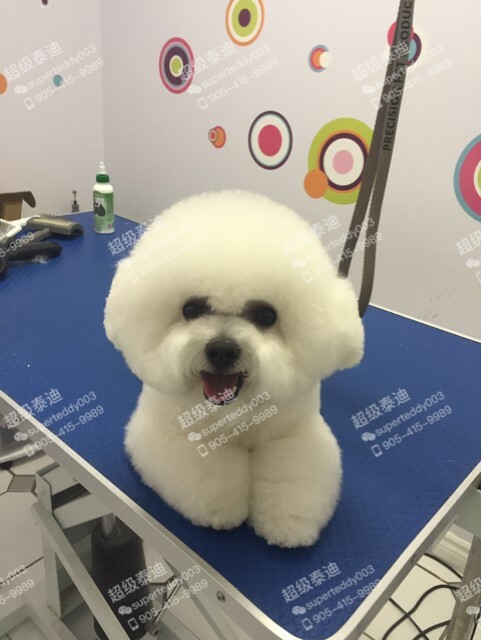 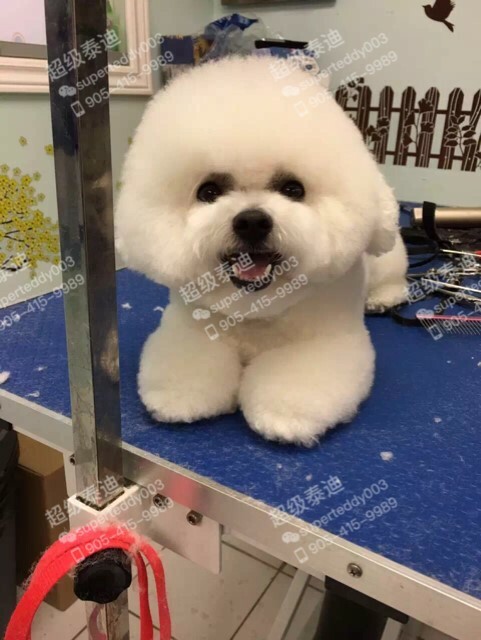 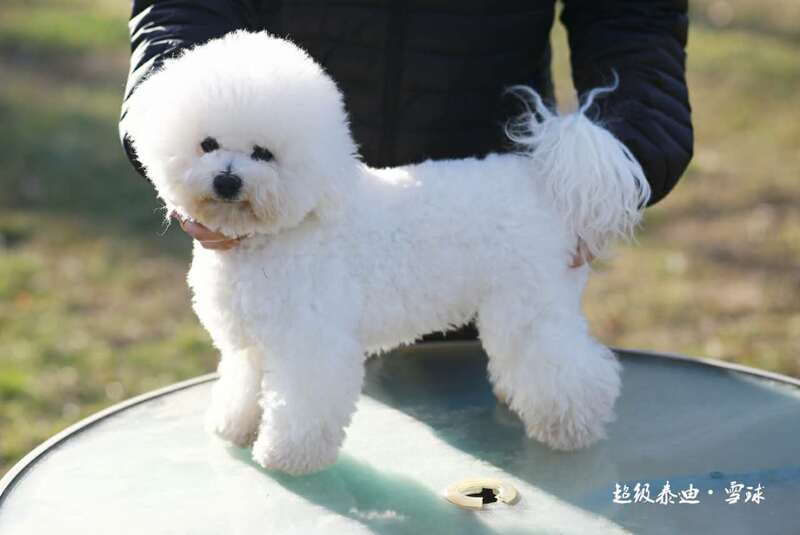 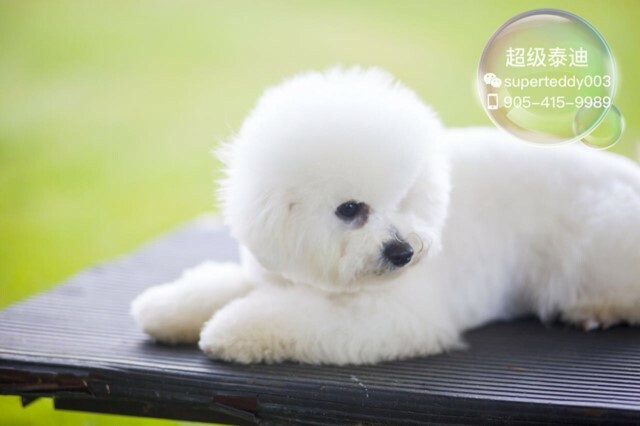 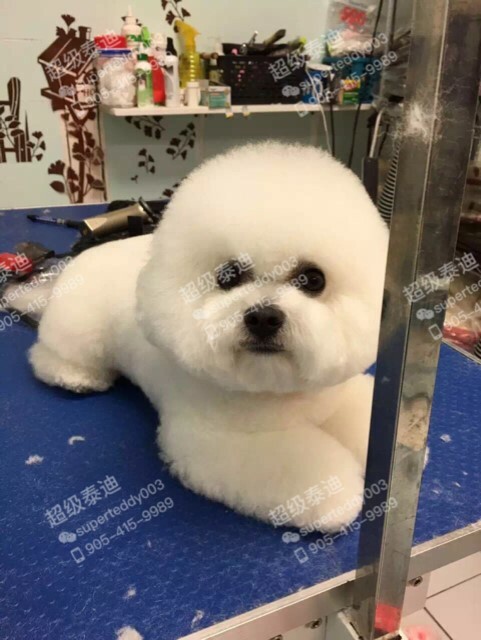 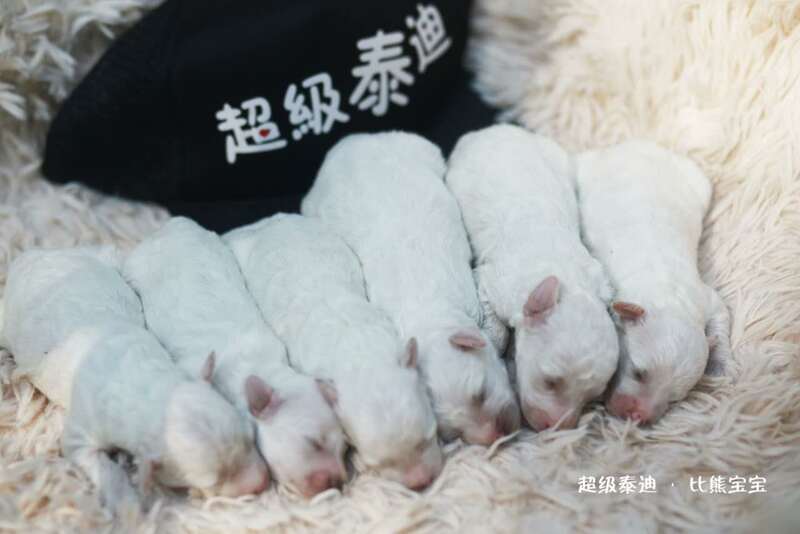 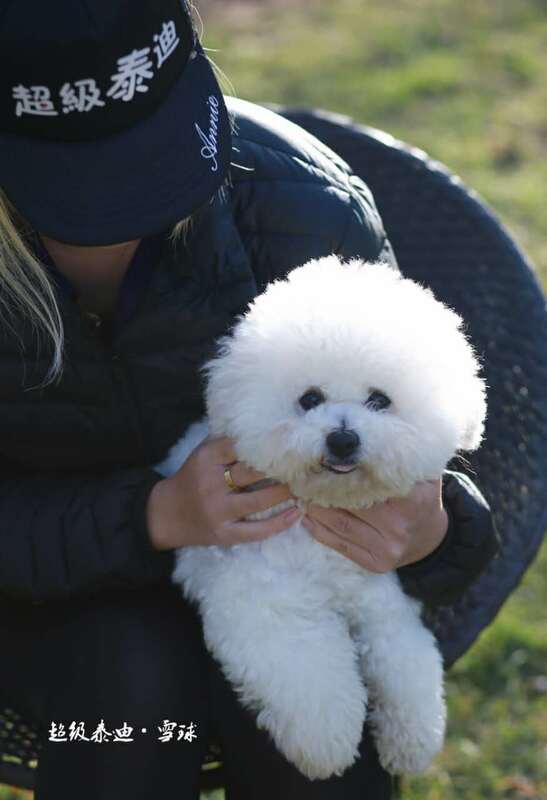 The Bichon Frise is a small dog that weighs approximately 5–10 kg (10–20 lbs) and stands 23–30 cm (9–12 in) at the withers, but slightly larger dogs are not uncommon. 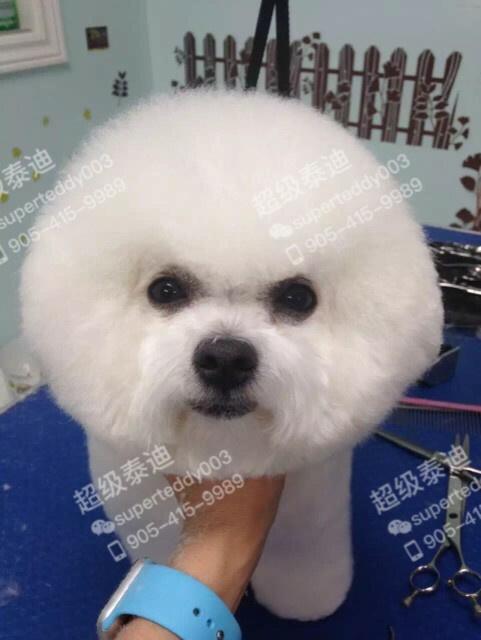 The skull is slightly rounded and the muzzle is not pointy. 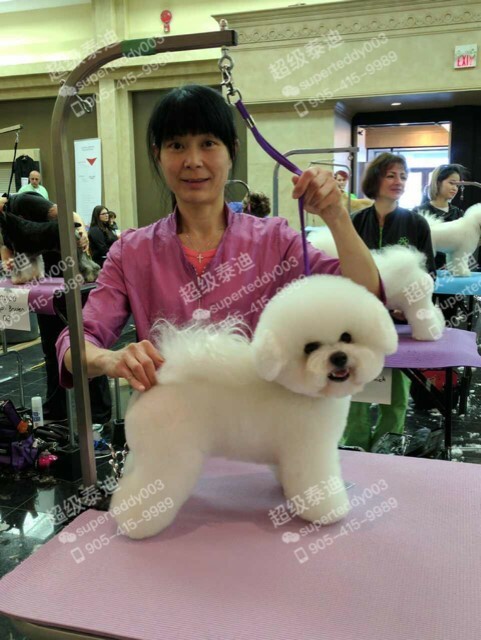 The tail is groomed to be long and curly and is carried over the back. 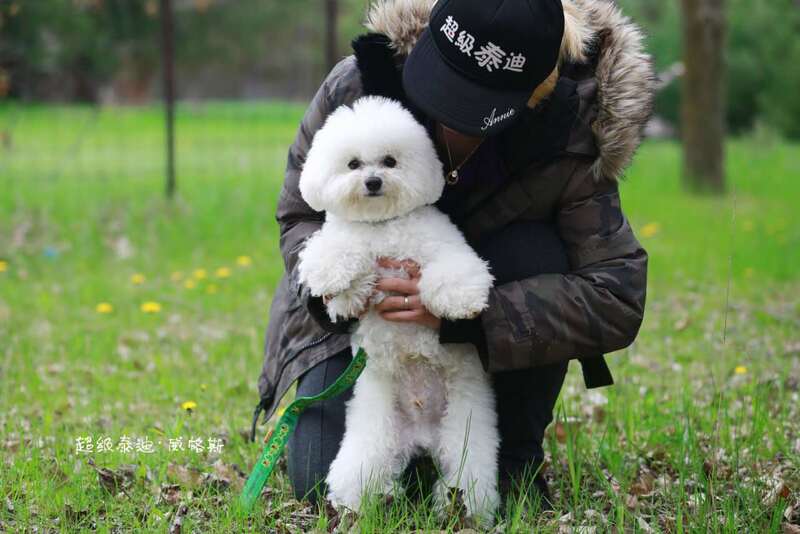 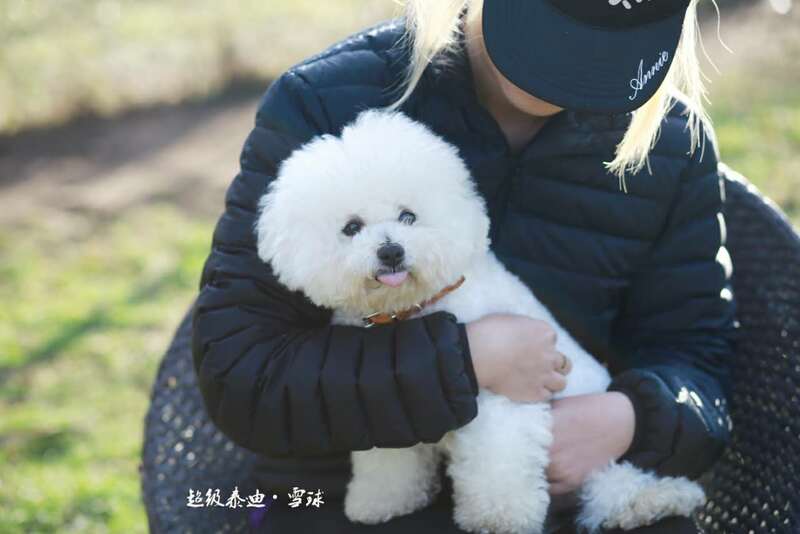 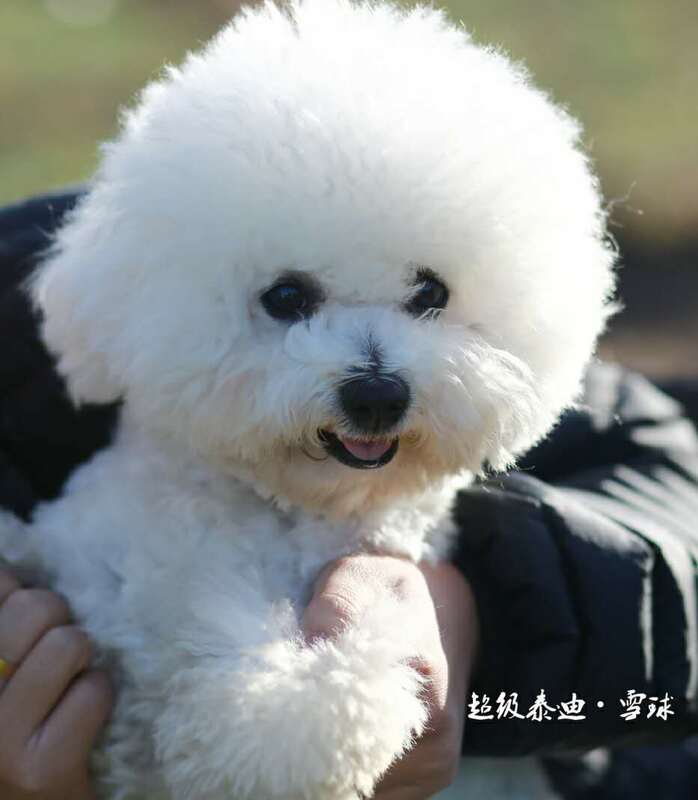 It has a black nose and dark round eyes; its white hair consists of a curly, dense coat with little shedding (much like a poodle in this respect), although many of the breed do tend to have less curly hair than others. 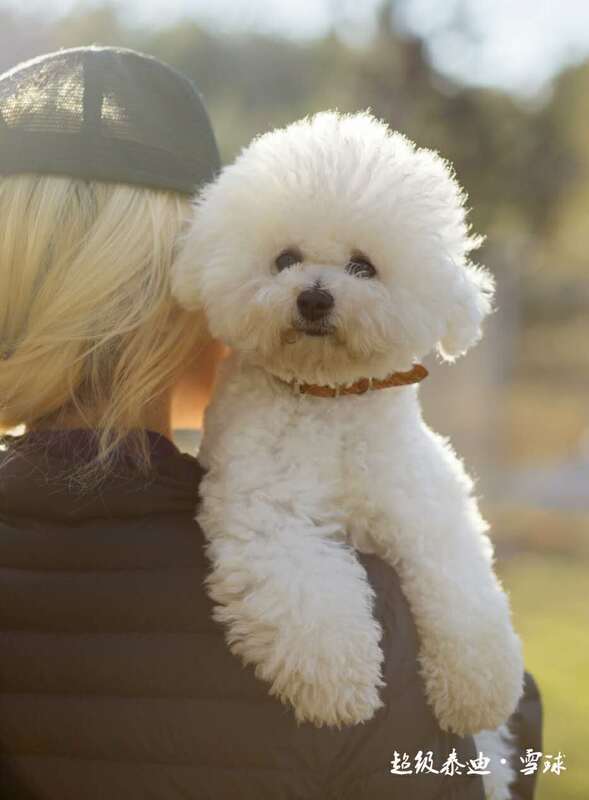 A small amount of buff, cream, or apricot color may be seen around its ears, snout, paws or body, but normally these colors do not exceed 10% of its body. 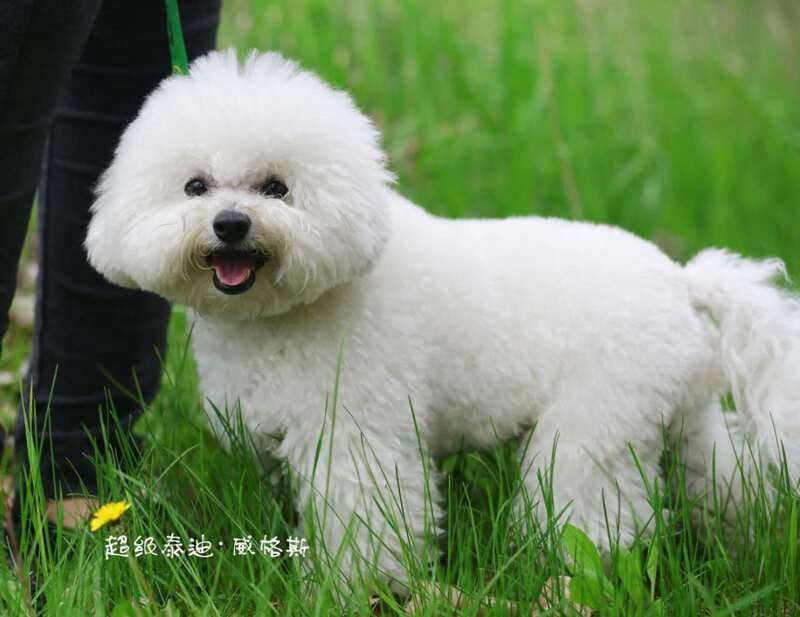 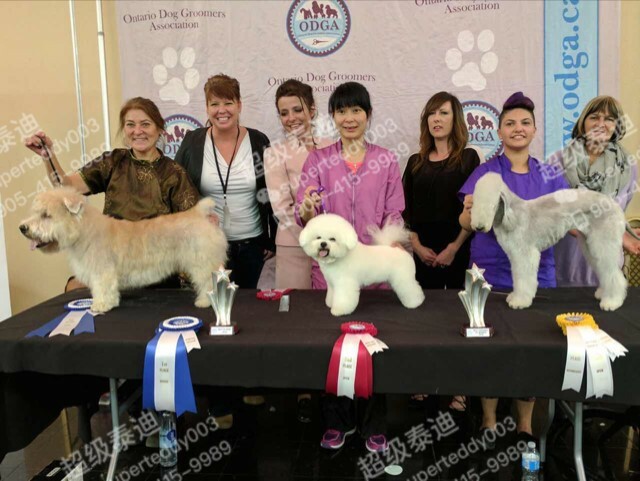 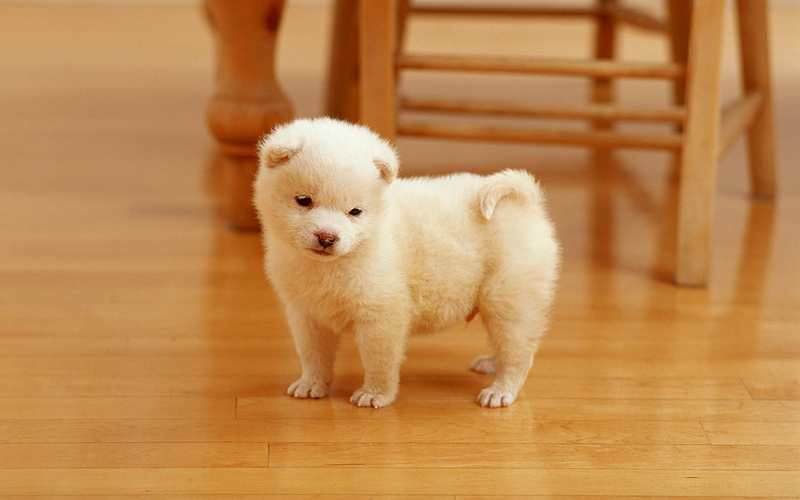 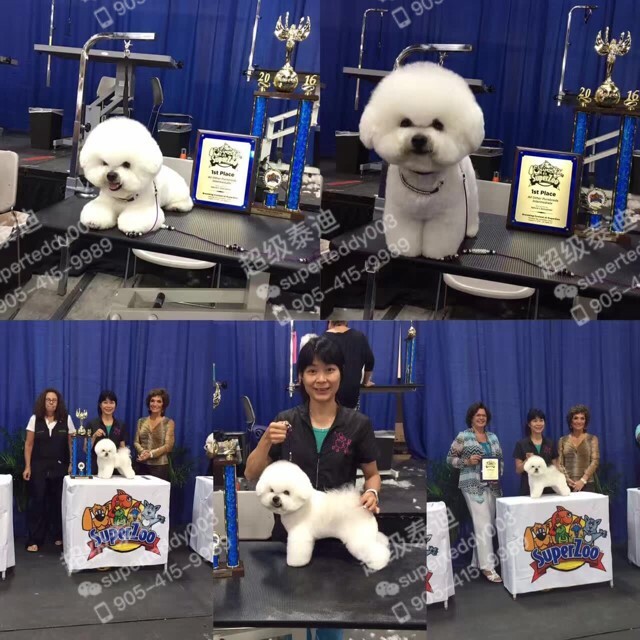 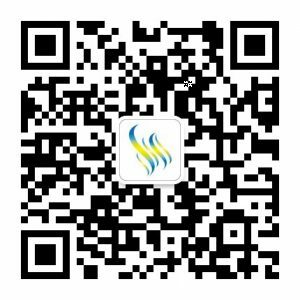 FCI/AKC Standard coat color is pure white; other colors such as apricot or grey are not recognized. 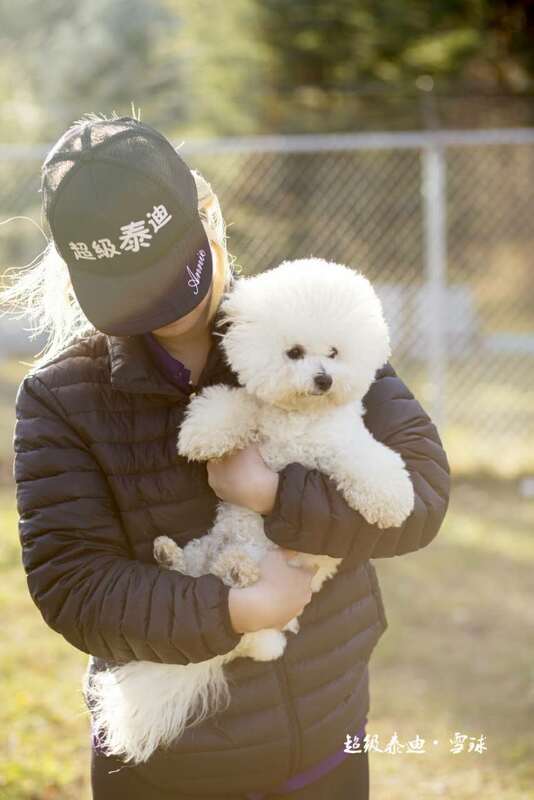 A white coat is preferred in the show ring. 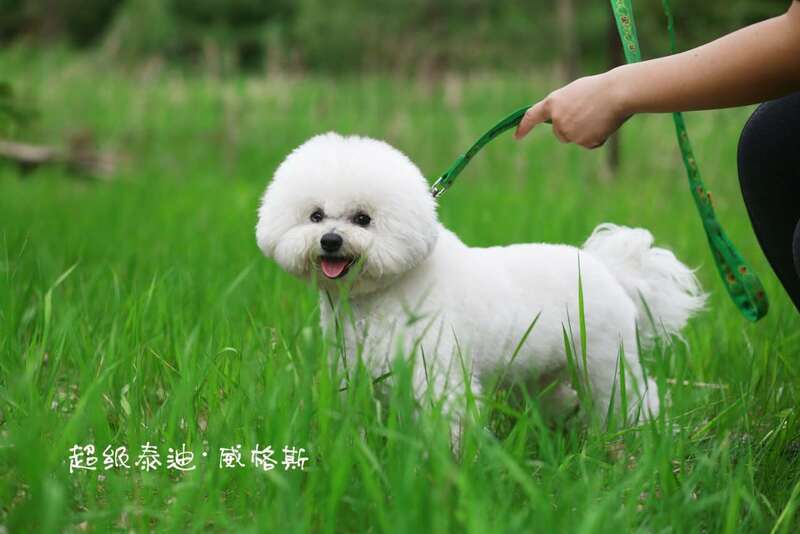 The head and legs are proportionate in size to the body, and the ears and tail are natural (not docked or cropped). 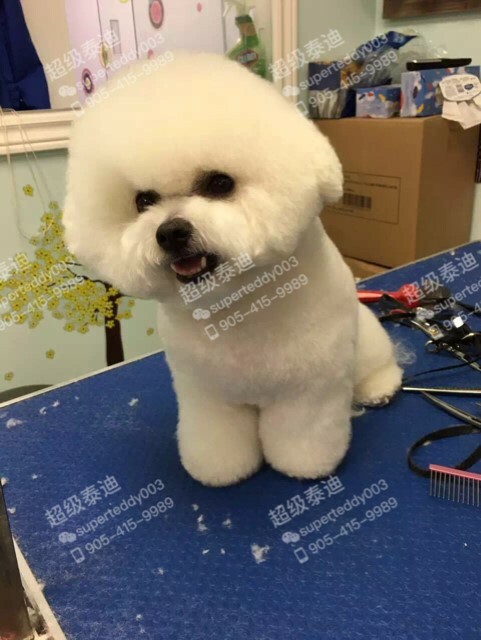 The coat is trimmed often to make the hair seem like an even length. 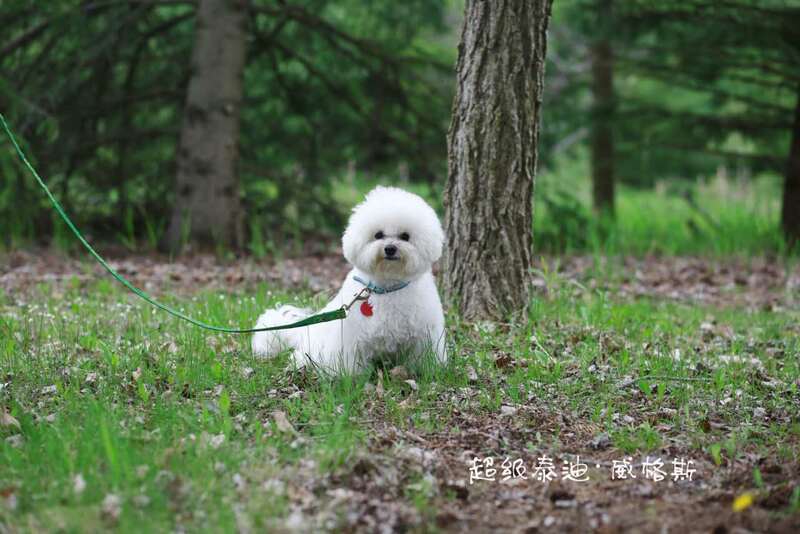 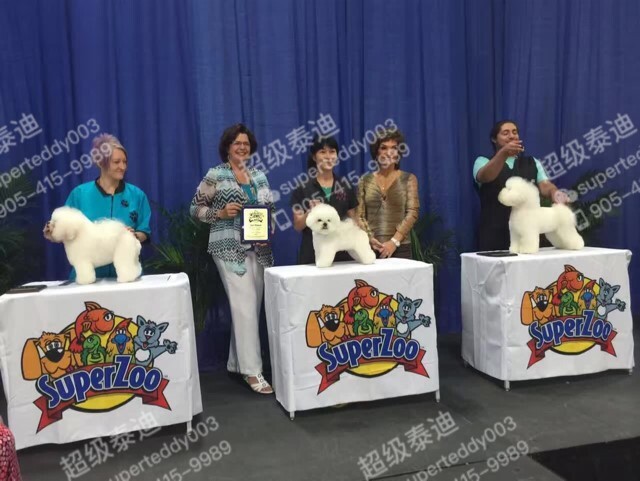 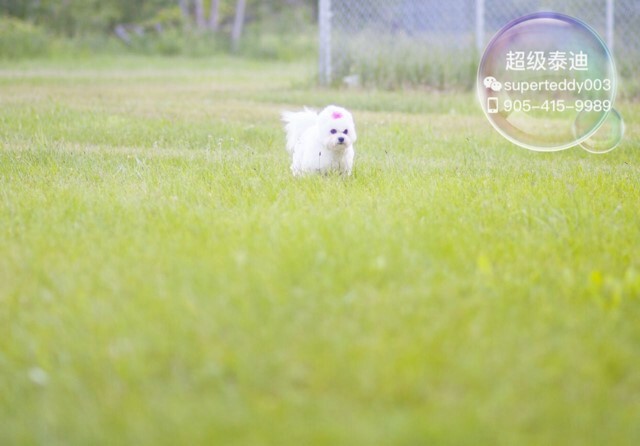 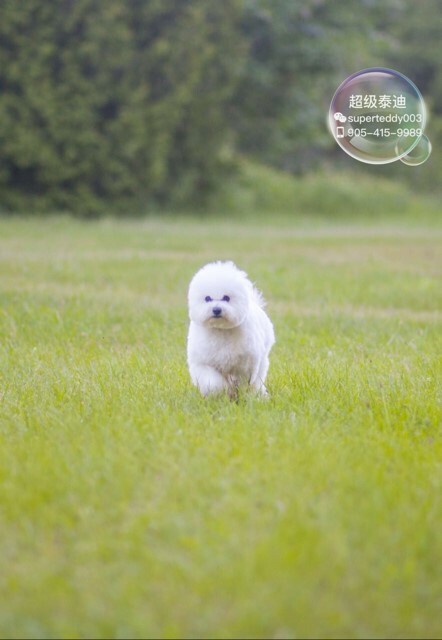 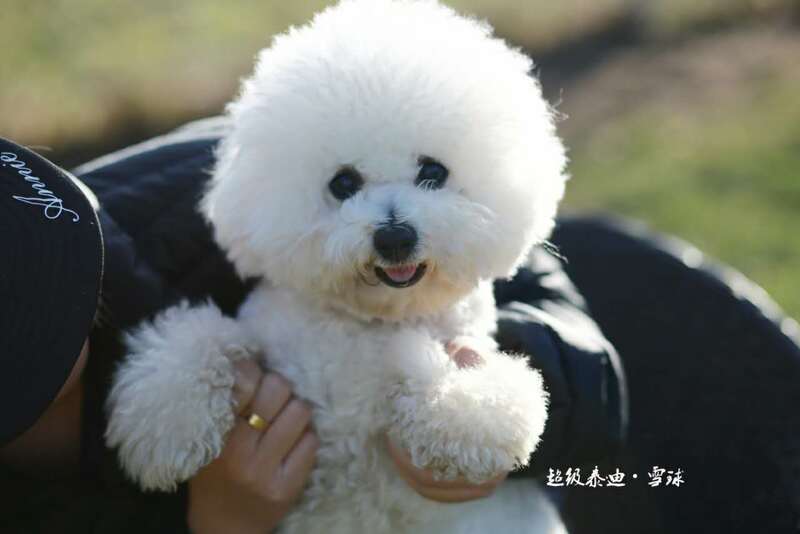 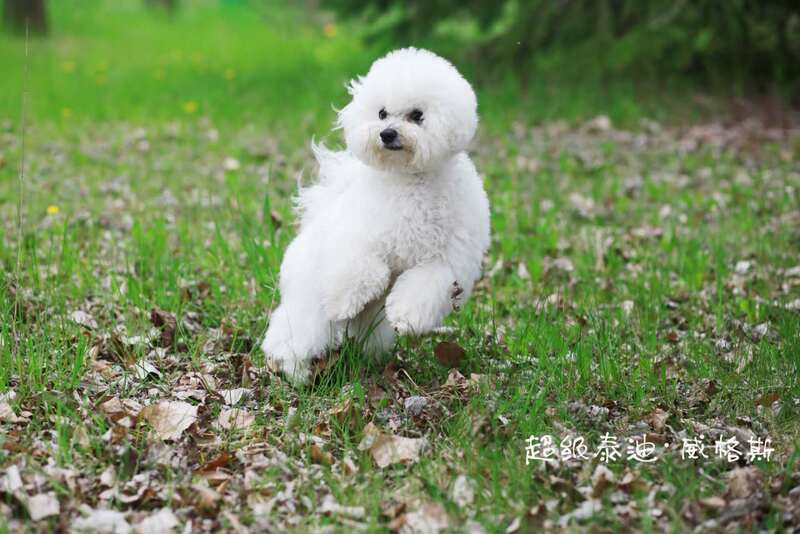 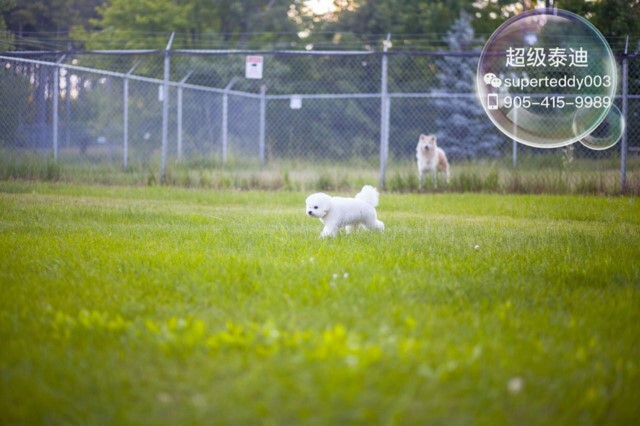 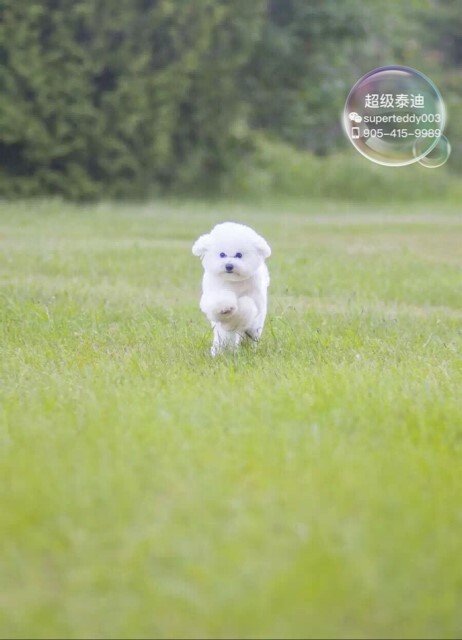 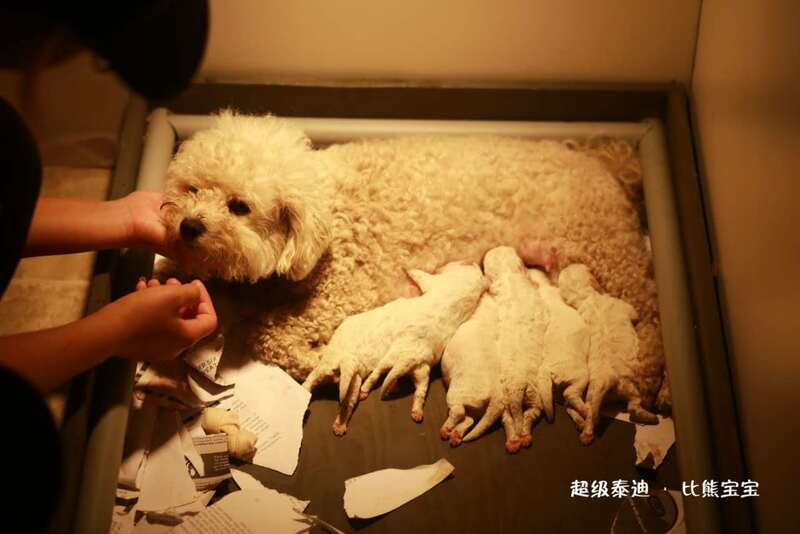 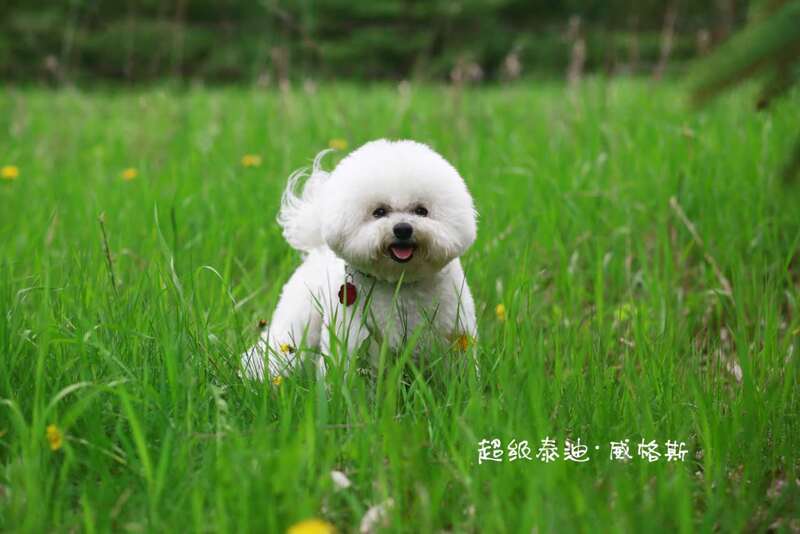 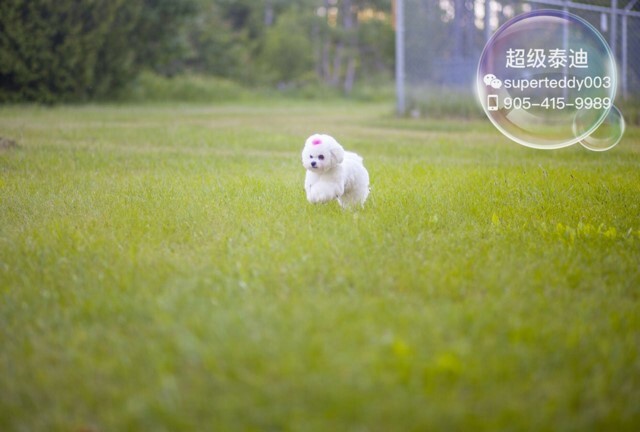 Bichon Frises can have a medium-high intelligence.